A Fabricated Journey: Missing that time! Hi there, yes I blinked and lost a couple of days...I'm sure???? I'm also sure life gets that way for all of us sometimes. Always seems so much to do, new techniques to try and never enough time. 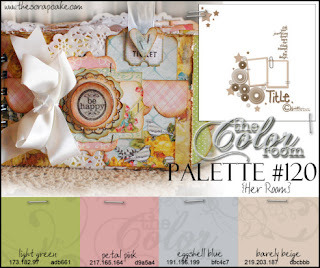 Now for this weeks release at The Color Room ~Palette #120. 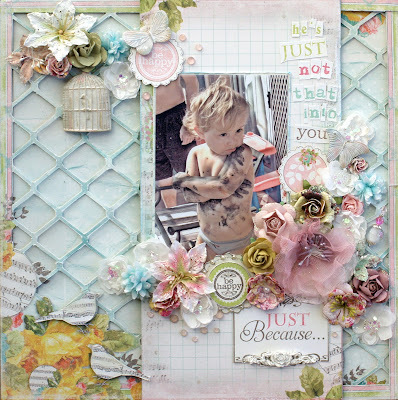 Here's what I created....Come on over and take a look! 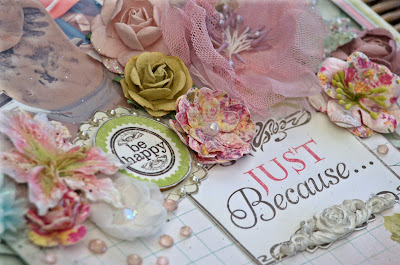 This week I have added some beautiful embellishments to The Scrapcake 'My Private Happiness' Papers. The Devine main Dusty pink flower is called 'Poppy' from Green Tara. 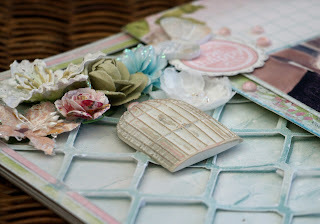 All the smaller flowers are a combination of Prima and Green Tara and the resins are Melissa Frances. Once again this weeks stunning palette is sponsored by The Scrapcake this month. Do drop by the blog...they have some absolutely amazing creations to enjoy and a fabulous DT. Oh and a little Heads-up Tease?....I have seen some of the gorgeous layouts the DT ladies of TCR have created for the next palette #121 and they are creations you don't want to miss!!! Come on by at the end of week to see them yourself. The Color room. Do you have peeks for Saturday going up soon? ?